2002 Isuzu Rodeo Sport 3.2L 4x4 - Still kicking! those look pretty spiffy. How much are they? Last edited by ChopTop; 11-04-2015 at 04:41 PM. So what is the cost for a set? They don't list them in their site, so that tells me they're probably not cheap. From the site I take they are working to get someone to carry them - maybe they are in negotiations for some chain to sell them. WERKS dual 3 inch SS exhaust. , I found a few internet forums where the price is revealed to be $260 shipped per pair, or $520 shipped for a set of four. I am building and selling my lift stand, but I’m currently out of stock. The interest has grown, so any new orders will be added to a waiting list, with a lead time of about 3 to 4 weeks. The price for a pair (2 stands) is $265.00, shipping is not included. My zip code is 60442 to check the shipping cost go UPS.com. The stands are shipped individually 36lbs each. If you're interested in placing an order, send me your billing/shipping information. I will then email a paypal invoice that is payable with most any major credit card, or you may send a check by mail. The order will be shipped after payment is received. 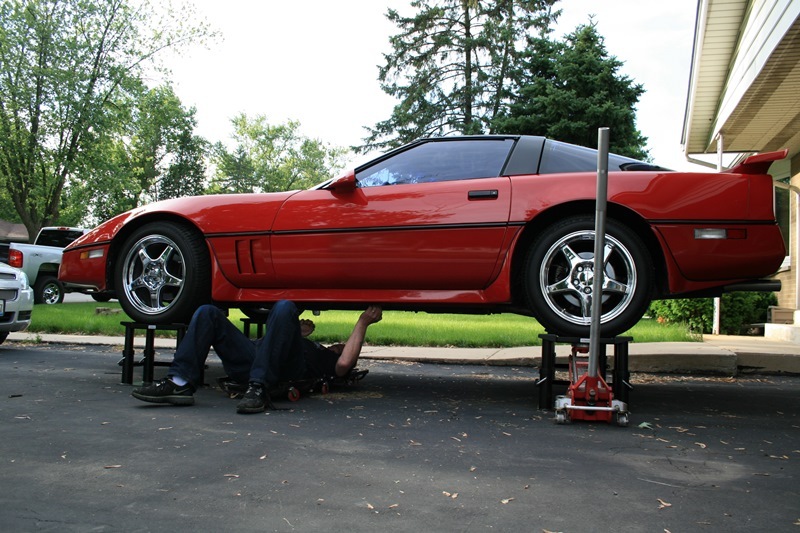 You need to setup the jack 16 times in order to raise and lower the car! I have heard horror stories, now we see this! This is why they sell life Insurance! Pardon the resurfacing of an old thread, but I don't get here much at all anymore. I've looked at these, and while it is a good solution, personally I really like the Quick Jack. Main reason for me is 90% of the time I'm working on swapping tires (autocrossing), brakes, or suspension. Of which you can't use these at all for any of that work. The Quick Jack allows you to do all that work, can be plugged into 110V or run off the car battery (great for when away at the track in my case). Just thought I'd toss some food for thought on this one if you haven't seen this yet. What did you end up paying for that?